Car accidents are always stressful to deal with. Here’s a brief guide to help make things easier to handle. If nobody’s hurt in the crash, filling out a joint accident report is sufficient. There’s no need for police to attend the scene. 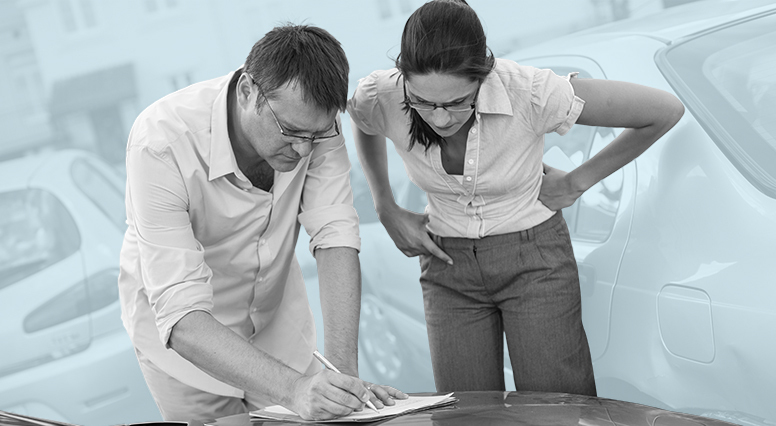 The joint report allows you to note down the details of the accident so that your insurer can determine who is responsible. All you need to do is fill out the report and send it to your insurer. It is crucial to write down the contact details of the drivers involved in the accident. What is a joint report? A joint report is a document that enables you to describe an accident precisely and objectively and to identify the persons involved. You can also make a note of witnesses’ contact information, which could help give your insurer a clearer picture of what happened. Don’t have a joint report form in your vehicle? You should also write down a description of the facts and get all drivers involved to sign. Then send this information to your insurer. Where to get a joint report form? If you are involved in an accident and someone is injured, call 9-1-1 immediately and ask for an ambulance and the police. If you hit a parked vehicle and are able to identify the driver, fill out a joint report and send it to your insurer. If you hit an unoccupied vehicle or other object, you must contact the police and give them the information they need to identify you as well as information about the other vehicle, if applicable.